Viva -Loco Homegirl Esq. 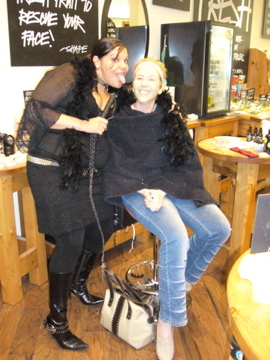 ‘s secret identity (her day job) is being a Lush Girl. 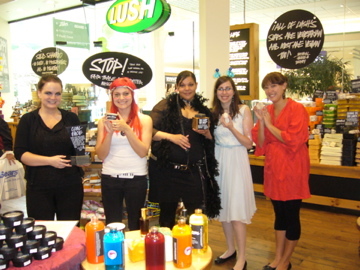 Today they had a Lush Party at the store, and yours grouily went to see what all the fuss was about. Wheeew! All this undercover snooping can make a girl tired. Time for a nap. -Harley Lilith Noir. This entry was posted on June 2, 2007 at 4:26 pm	and is filed under Photoblog, scumbunnies, Teabreak, Uncategorized. You can follow any responses to this entry through the RSS 2.0 feed. You can leave a response, or trackback from your own site.